Had Noah’s Ark perched atop the hill of Lausanne’s Cathedral in Switzerland, the animals might never have wound their way up the steep incline. 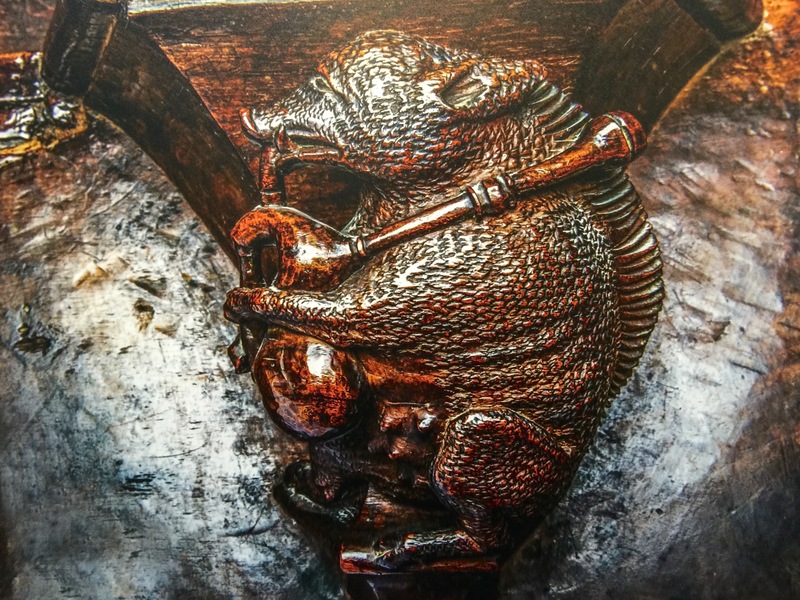 Instead, on those same heights, artists have immortalized the creatures of the Bible with over fifty carvings and depictions throughout the Cathedral. Known as bestiary, and made popular in the Middle Ages, the illustration of creatures also implies a moral lesson. 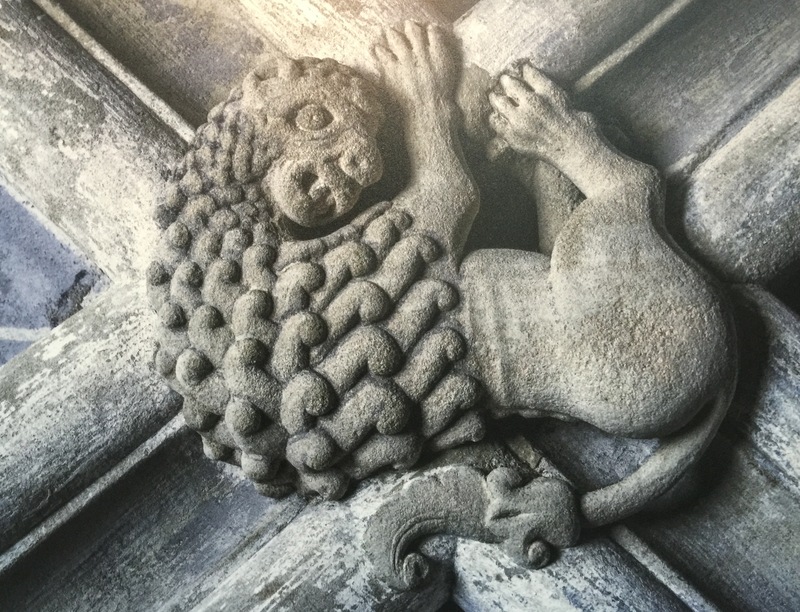 Although the Cathedral was built in fits and starts, the inclusion of beasts remains significant because “all of Creation is united, from the Old to the New Testament”, according to sculptor Raphael Lugeon who restored the Cathedral’s grand portal. Thus, the Bible’s stories and lessons relate to the entire natural world, and bestiary lends its own import to religious history. As Creation Groans: Fables of the Animals (Elenchus Books, 2016) relates in its Preface, “Legend has it that King Solomon could converse with animals by some magical ring or peerless wisdom, even though the tale is usually attributed to a mistranslation of the end of I Kings 4, substituting “Solomon talked with animals” for the actual “Solomon talked about animals”. Certainly talking animals and animal wisdom have been either invented or extrapolated from Ancient Egypt to Aesop’s Fables and beyond, and even the prophet Balaam’s Donkey can speak to him in unusual circumstances in the Biblical book of Numbers. The most dramatic examples of bestiary stand above the main portal, in a white stone Gothic arch. On the right hand side of the arch are twelve scenes from the Old Testament, each vignette separated by a stone canopy. Its complement on the left hand side of the arch reflects another twelve scenes from the Annunciation through Jesus’s baptism. The portal’s initial (partial) construction, around 1536, occurred nearly nineteen years after Martin Luther tacked his Ninety-Five Theses on a German church in Wittenberg, kicking off the Reformation. As a consequence, the symbolic language of animals made sense for Christians under fire. Not only did bestiary round out representation of the earthly world, it also allowed a shorthand of sorts to relay important religious message. 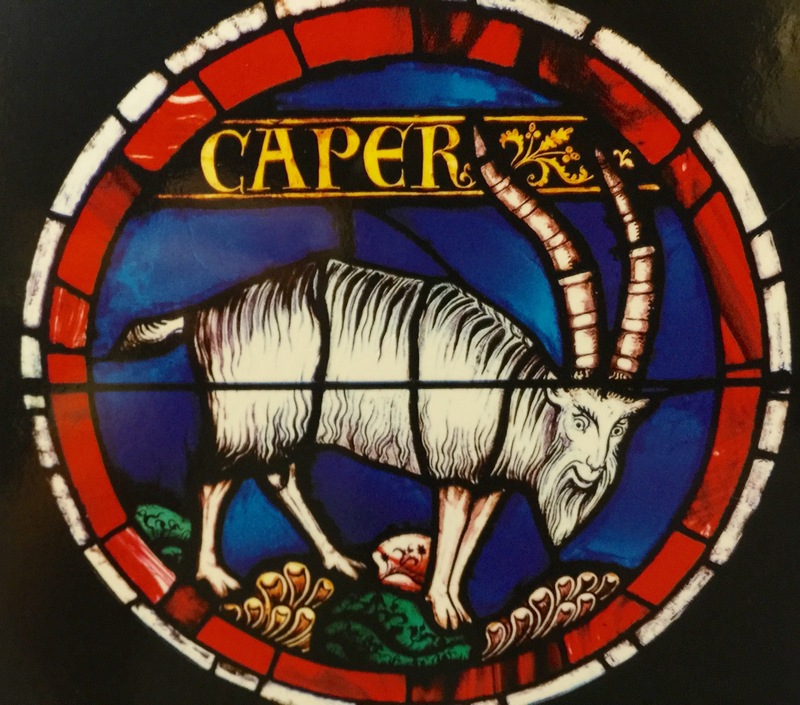 While serpents and lambs seem ubiquitous in religious art, the Cathedral contains less typical illustrations: dog, donkey, whale, oxen, and lion. Underneath the intricately carved, near frilly stone canopies of the portal, the scenes tend toward a folkloric style. One such scene shows the marriage of Joseph and Mary. Their outstretched arms clasp hands with a priest joining the two, literally, in stone and figuratively, in marriage. Between Mary and Joseph, and at the forefront and center of the sculpture, lies a curled dog. The sculpted canine forms a visual connection between individuals. Further, the sleeping dog signals a contentedness borne of devotion. This attribute—devotion—seems to extend to the couple above him. The dog, a traditional symbol of fidelity, binds these two individuals together in much the same way as the priest does with official rites. Moreover, the simple carving of a furry animal makes the message accessible to the viewer, literate or not. Indeed, this language of beasts allows more complete understanding of the Bible. For example, Samson’s killing of a lion with a donkey’s jawbone illustrates his vivid story. Christian theologians consider Samson a pre-figuration of Christ, so Samson’s dominance over the lion portends Christ overcoming Satan and reaching eternal life. Bestiaries tell the biblical story and its lessons in richer detail to a wider audience than words alone can. 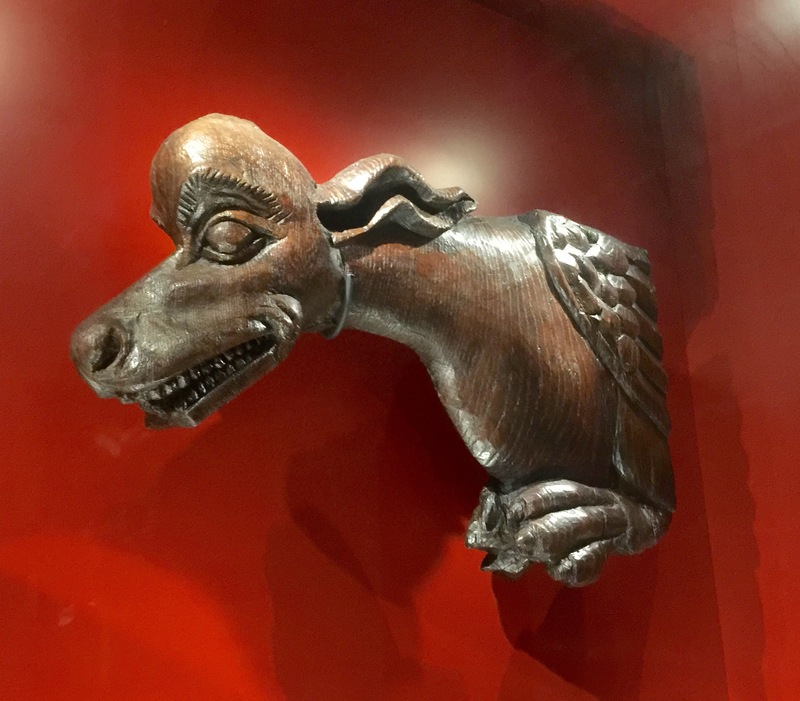 Like a giant hall of mirrors, a bestiary seems to reflect and amplify ancient stories. 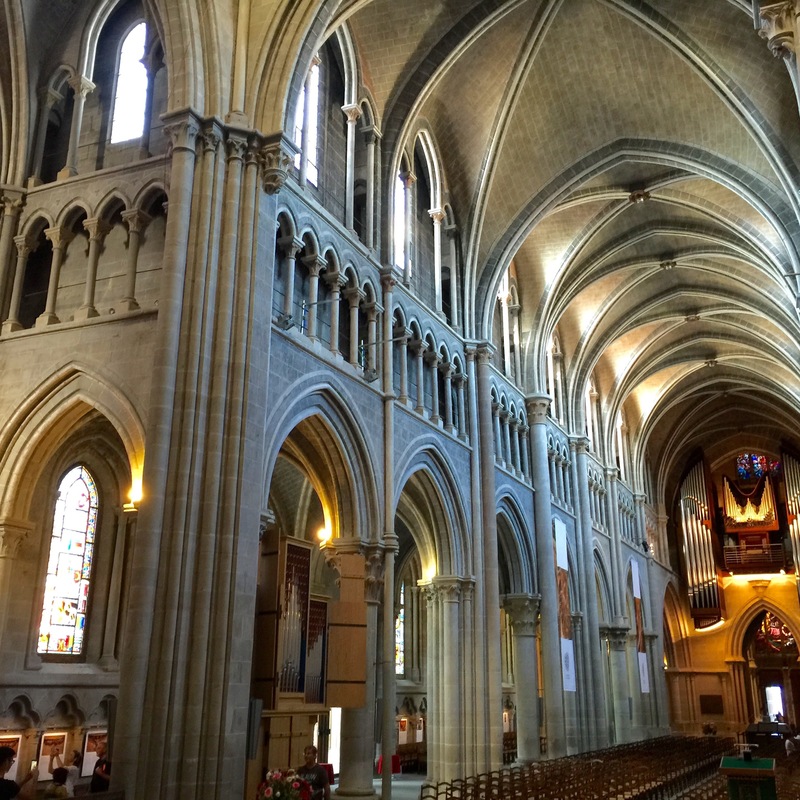 The creatures provide parallel connection to our human experience along with the symmetrical Cathedral arches and the Old and New Testament events that mirror each other. In the symbolic language of bestiary, artists use animals to guide viewers through historical terrain, perhaps to deeper understanding. Jocelyne Muller. Biblical Scenes from The Grand Portal of Lausanne Cathedral. Lausanne, Switzerland: Conseil de service communautaire La Cathedrale, 2017. The Bible. Edinburgh, Scotland: Sir D. Hunter Blair and J. Bruce, 1825. Patrick Hunt. Creation Groans: Fables of the Animals. Newport, R.I.: Elenchus Books, 2016.